Marko Arnautovic admits he is unsure whether a knee injury sustained in the 3-1 victory over Everton on Super Sunday will keep him out of West Ham's London derby against Chelsea next weekend. The Austria frontman was instrumental in the Hammers securing their first win of the season at Goodison Park, providing an assist for Andriy Yarmolenko to open the scoring before netting his side's third goal. 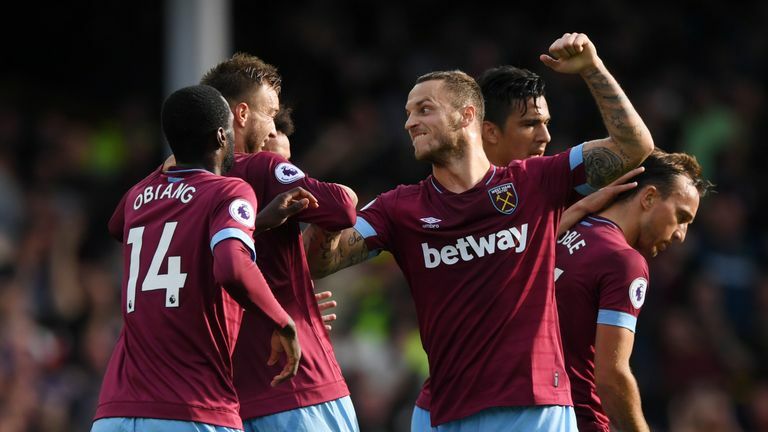 Arnautovic was forced off shortly after scoring his third goal of the campaign and will be assessed ahead of the clash against the Premier League leaders at the London Stadium next Sunday, live on Sky Sports Premier League. When asked about the extent of his injury, Arnautovic told Sky Sports: "I don't know. We have to check now, it's not my calf, it's behind my knee. "It is hurting a little bit. We are checking this week how it is going and we will see." Victory over Everton ended a run of four successive defeats for West Ham and lifted Manuel Pellegrini's side up to 16th in the Premier League table.